Dr. Rocko Brown is an expert design geomorphologist who uniquely balances applied and scientific aspects of geomorphology and engineering. He focuses on process-based assessment and restoration of fisheries resources through channel manipulation integrating geomorphic, hydraulic and ecological frameworks. He has extensive experience in hydraulic and sediment transport modeling and design for fish passage improvements, channel design, large wood and instream habitat structures, and bank stabilization. 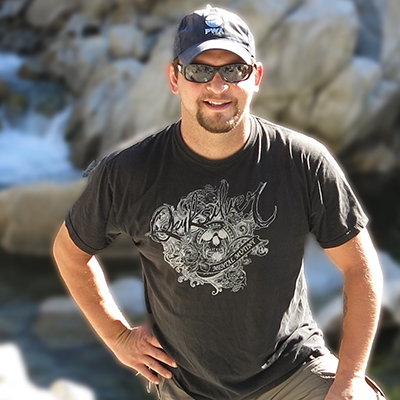 Rocko has led the design of seasonal floodplain, spawning habitat, and fish passage projects in a diverse array of physical and regulatory settings. He has made contributions to spawning habitat rehabilitation efforts, including assessment, modeling, design and construction of projects on several of California’s most-important rivers. Dr. Brown has published heavily on evaluating the interactions of topography and flow hydrology for geomorphic processes needed for salmonids to complete their life cycle and how to design functional riverscapes that honor these linkages. He holds a Bachelor of Science in Environmental Engineering from Temple University and Master’s and Doctorate Degrees in Hydrologic Sciences from the University of California, Davis. He has been an instructor with NWETC since 2009.